Menlo Park (2010): This is an existing 2-storey house with a small 7-ft ceiling height basement. 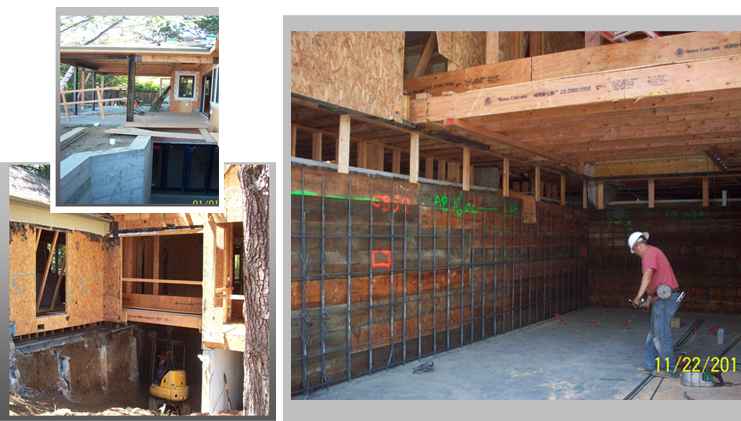 Engineering Featured: The conversion of the existing basement from 7-ft ceiling height to over 9.5 feet without raising the building and adding more basement space by extending the footprint of the basement into (below) the new rear porch. The addition of more basement space became more challenging when most of the ceilings in the second floor were raised and the existing ground floor walls (load bearing and shear walls) were either taken out or moved to create a more open space.